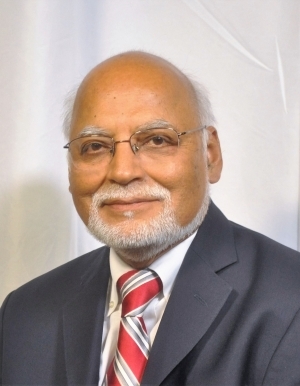 A 2019 inductee to the National Academy of Engineering, Dr. Ahuja has more than 35 years of research and development experience in aircraft noise research, acoustics facilities design, flow control, state-of-the-art instrumentation, and advanced signal processing. During his employment of 13 years at Lockheed Georgia Company in various capacities, including the head of the Aeroacoustics Research and acting manager of the Advanced Flight Sciences Department, he was the principal investigator and/or the program manager on several successfully completed projects funded by Lockheed, the U. S. Air Force and NASA. He joined the faculty of Georgia Institute of Technology as a Senior Faculty Research Leader in March 1989. He recently served in the capacity of the Director of Georgia Tech Ireland. Dr. Ahuja is a former associate editor of the AIAA Journal and also a former Chairman of the AIAA Aeroacoustics Technical Committee. Dr. Ahuja has authored or co-authored over 180 technical articles or reports on a range of topics including acoustic shielding, fan noise, active flow control, flow/acoustic interactions, jet noise, cavity noise, automobile noise, sonic boom research, psychoacoustics, high-temperature fiber optics strain gauges, acoustic transducers, active noise control, tilt rotor noise, source separation, acoustic fatigue, duct acoustics, computational aeroacoustics, innovative flow visualization techniques, tornado signatures, rapid charging of batteries and others. The international media, including CNN and Beyond 2000, has covered his work.